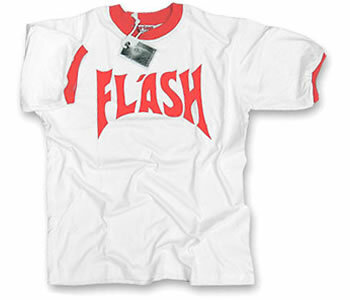 *** NEW *** Short sleeve, white, red ringer T-shirt with "FLASH" on front and red Flash lightening bolt on back. Made of 100% cotton. All Flash Gordon merchandise is officially licensed.